First off, I want to explain that I’m absolutely not on drugs today. Well, any day really. But today especially! I didn’t have a whole lot of time this morning to get anything super awesome done. I have a Christmas party later on today and so that was a bit of a distraction. 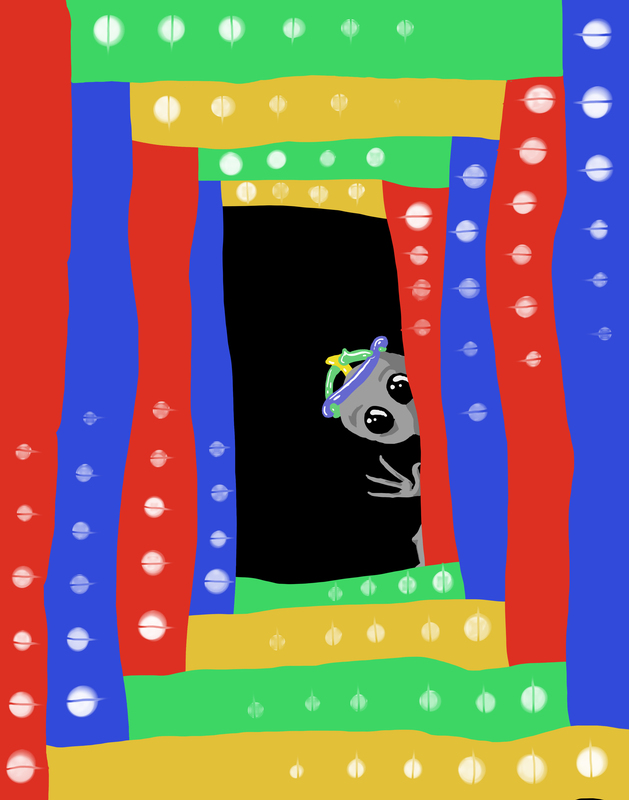 So, we have an alien in a fun-house with a balloon hat. Yup. That’s happening right now. Also, I don’t think I’ve mentioned it yet in my daily posts (maybe I did once), but I’m in the process of giving an interview for fellow blogger and “Year of Creative Habit” expert, Crystal. She’s just about finished with her year long project (a couple weeks left!) and she wanted to give me an interview via email! It’s been pretty exciting for me, actually. Everything went smoothly and once I send along some pictures of mine to put up then she’s all set to get it posted. I think it’s going to turn out pretty great.